As we all know, some video games are treated like sports nowadays, or Esports to be precise, which means that it’s only a matter of time before people start treating some substances as enhancement drugs for E-sports. Luckily, that day is still far away, which means that you can get the boost you need without being disqualified. Games like Overwatch, Counter-Strike, League of Legends and DOTA 2, all have their own competitive play, and all of these games require lightning reflexes, focus, collaboration, and critical thinking. So, you might be wondering how Kratom fits in this equation, well the following article is here to explain just how Kratom can be useful in this department. 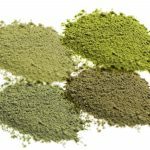 Kratom has many different properties and side-effects, and depending on the effect you want, you’ll need to adjust the dosage. Kratom can be used to relieve you of anxiety and reduce stress, increase focus and concentration, increase energy levels. It is also used as pain relief. Hell, it can improve your sleep and heart health. So, the effects that you are interested in are increased focus, concentration and energy. If you want to be good at competitive games, you need to pay attention and think fast. You can see that Kratom can help you with that. The natives of Southeast Asia were the first people who discovered this perk. They used to chew on leaves of the Mitragyna Speciosa, and managed to receive the necessary energy boost to help them complete their daily tasks. However, Kratom can have different effects. So, in order to get the benefits you want, you need to find specific types of Kratom and to use adequate doses. 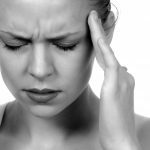 Maeng Da – It can provide a strong energy boost and it contains alkaloids, so it can be used to mitigate the pain, but if you haven’t used Kratom so far, this type might be too strong for you, so you might want to try something less stimulating. Thai – It can be a stimulant as strong as Maeng Da, and it doesn’t contain such a strong concentration of alkaloids, so it’s not as effective in the pain relief department. For more stimulating effects of Thai, make sure you use Kratom strains that have white and green veins. The first thing you need to establish is how your body reacts to Kratom, so take between two or three grams at first. If you feel the boost in energy and concentration, than this is the dose you can stick to. If you feel a different effect, then you need to take a bit less next time. There is no written rule for this, since we all have different metabolisms and our body dictates the dose in a way. There is a recommended dose, so you can’t overdo it, and you’ll most likely experience the desired effect. Once you get your boost, play a few online matches, and you’ll be pretty impressed with how better you are at video games. Next Post: Can Kratom Be Used for Weight Loss and How Effective Is It?